Brooke is a stunning Silver Mackerel Tabby. Her markings are gorgeous. Brooke was�%A0a little timid around other cats but she has learned to socialize with�%A0other cats well and is now living with our 10 'Office Manager' cats. 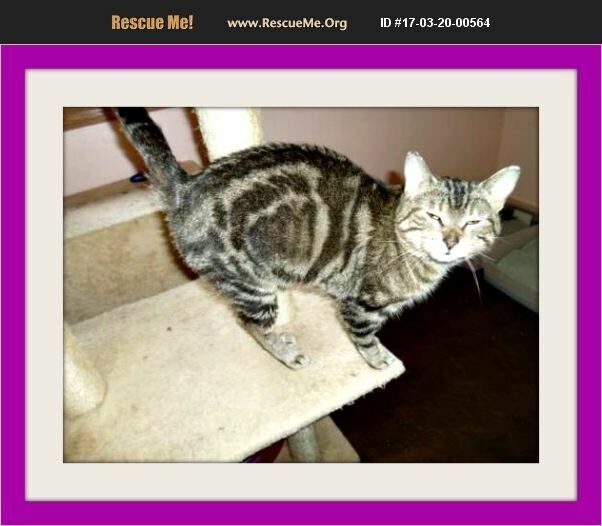 Brooke is very talkative and loves to chatter as she rubs on your leg.�%A0�%A0Brooke is spayed, up to date on vaccines, has been dewormed and is microchipped. If you would like to give a wonderful home to Brooke please go to littleorphansanimalrescue.org and fill out an adoption application. Little Orphan's Animal Rescue, Inc.